‘I am unable to digest the feeling of being an alien to Hyderabad hereafter’ expressed a senior journalist. ‘I lived and loved this city all these years. Felt this city is mine. But suddenly this separation feeling hurting me’, he observed. ‘I know that division is eventual and reality if not today, some other day. 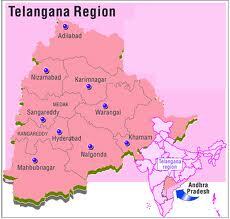 I saw justice in Telangana demand. But when principled opinion meets reality, feel of belongingness woke up and pain begins’, he explained. This is the agony of many friends from Seemandhra area who settled in various professions in Hyderabad. They have nothing to do with assets and businesses in Hyderabad. They are like any citizen in the Mega City. They neither fought against division nor supported it. In actual terms they loose nothing and they get nothing with the division. But feel of belongingness makes difference. ‘Is your establishment going to consider me on par with you?’ One of my friend questioned me on my face. Whatever the leaders say, in reality it may not happen. But reality is reality. We have to come to terms with changed dynamics. Many of us left behind our villages and parents long ago, who were primary source of belongingness and settled here. It is the same pain. Struggle for existence brought us here. Tomorrow some other big leap in our life may lead us to some where. When the people from all over the world settled in America and surviving all existences, why not our own Telugu brothers cannot survive together? It’s possible. It’s law of life. Only powers and its handlers change, rules of life cannot.